Have you heard me complain about the lack of cheap sushi in Boston yet? Sure, you can get good sushi at O Ya, but I don't really feel like dropping $200+ all the time. I tried a couple other highly rated places that were either not good or pretty good but overpriced - but I kept hearing about Ebi Sushi and finally made it out to Somerville, now that the snow is (mostly gone). I normally don't order "sushi combo" but I made an exception here and it turned out to be a great deal! The reason I made an exception was because I was talking to the sushi chef (Jose, whom I later found out was actually one of the owners. 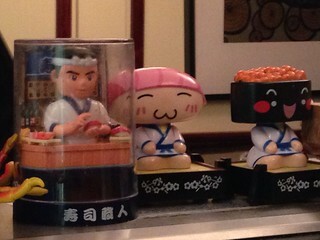 Yes, he's not Japanese, but he's got quite a few years of experience behind sushi bars). He told me the specials for the day and I started asking him whether or not I could get this fish in the combo or that fish or this cut. And he said yes to all of them. 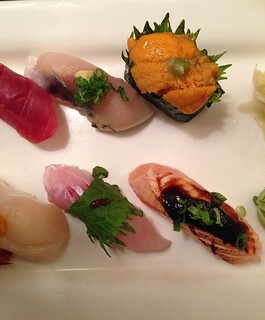 The Chef's Special nigiri sushi combo is $25 for 10 pieces, plus a bowl of miso soup. 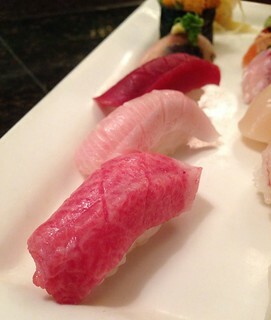 I ended up getting toro, hamachi belly, tuna, snapper, uni (local), squid, amaebi, scallop, mackerel, and seared salmon! The quality of the fish was quite good - the way he sliced it wasn't perfect but I enjoyed my sushi quite a bit nonetheless. The rice wasn't too dense, the fish was certainly fresh, and I certainly can't complain about the price. 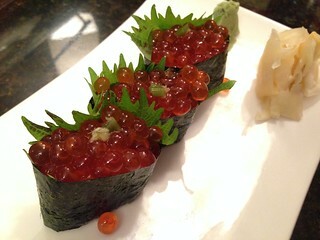 As far as bang-for-your-buck, Ebi Sushi gives a really good value. At Ebi, you can also just order nigiri sushi by the piece (instead of orders of 2) and prices for salmon, hamachi etc start at just $2. Considering 2 pieces of salmon at most places are $6-7, it's really cheap. 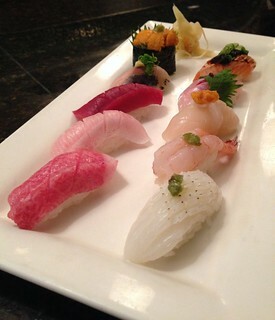 I'm really happy to have finally found quality, affordable sushi in the city. While Ebi won't be the best sushi I've ever had, with the value and quality, I'll definitely be a regular.